Talking about the end of the world is talking about Ushuaia. This is the southernmost city on the planet. Due to its location near the South Pole, it has approximately eighteen hours of sunlight in the summer, whereas in the winter, it only has seven or eight. But this does not prevent tourists from visiting it once and again. In the Yámana tongue, "Ushuaia" means "bay looking onto the West". Situated on the shores of the vast Beagle Channel, this beautiful city offers sceneries second to none. The forests, the mountains, the sea, the glaciers and the wind dominate the landscape. The city is surrounded by Mount Martial to the West and by Mounts Olivia and Cinco Hermanos to the East. The inventiveness of its dwellers has helped them become adapted to its whimsical geography. The modern buildings and typical constructions of these latitudes give shape to an extremely picturesque and colorful city in the eye of all visitors. Its gastronomic and accommodation infrastructure meets all expectations. It welcomes thousands of international visitors that reach Ushuaia lured by the slogan "reach the end of the world". 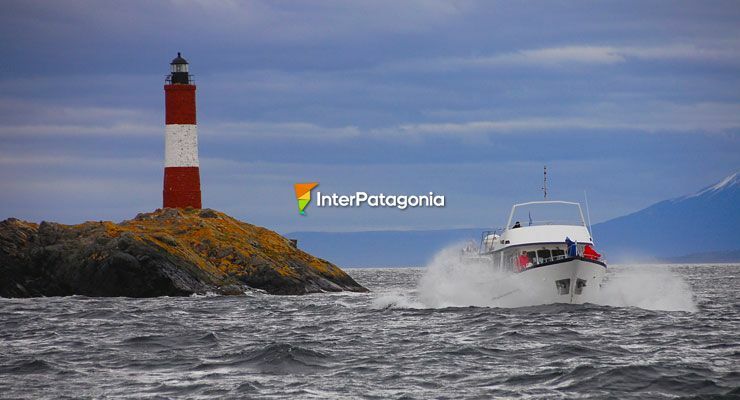 A tourist destination indeed, Ushuaia is chosen for the practice of hiking, horse riding, mountain biking, sport fishing and the most spectacular voyages along the Beagle Channel and Lapataia Bay in Tierra del Fuego National Park. The prison at end of the world is another tourist attraction. In the winter, visitors may enjoy skiing and rides on sleds pulled by dogs at Mount Castor. Its modern chairlifts and its school have turned it into one of the best ski centers in the country. This is Ushuaia: it has everything for everyone. For some people, it is the end of the world. For others, it is the beginning of everything.